Annoyed with the heat already? We are, too. 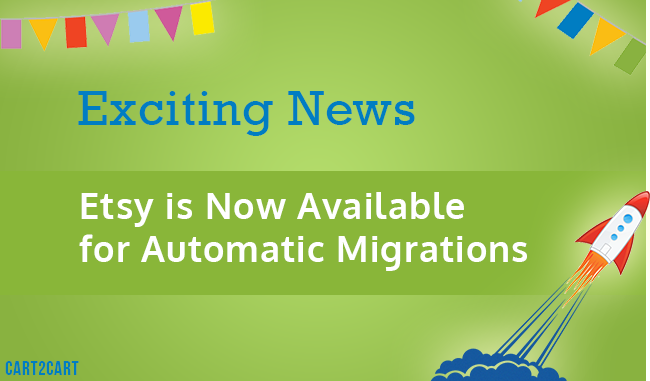 Unfortunately, nothing can be done about the stifling summer weather, but there is still a favor we’re capable of making to brighten up your day - provide you with a brand new migration opportunity. This time, you’ve obtained a chance to transfer data from Etsy - the progressive global marketplace. Being similar to Amazon, to some extent, Etsy gives merchants a chance to create stores, and sell goods easily within its marketplace. Being especially popular with indie products fans, providers of handmade or vintage items, Etsy counts over 1.4 million of active users. However, when simple selling is no longer enough, merchants start looking for a comprehensive eCommerce functionality that only a full-featured shopping cart can provide. And, to make their desire easily accomplishable, Cart2Cart and just added the support automated migrations from Etsy to any of 60+ advanced shopping carts. So, perform a transfer right now, and get rid of everything that holds you from accomplishing your business dreams.